Be careful with those documents. I see a lot of blank spaces. I don't see a break down of Principle, interest, insurance and taxes.What are the terms, is it a 30 year, fixed interest rate or interest only loan or one of their other funky crap offers. Our lender gave us a modification in 2009 and we are still battling this waiting to go to trial! Yea, most of these 'modifications' contain huge balloon payments, too. Sometimes in as little as 2 or 3 years. Add it all up and bankster _always_ maintains 100%. 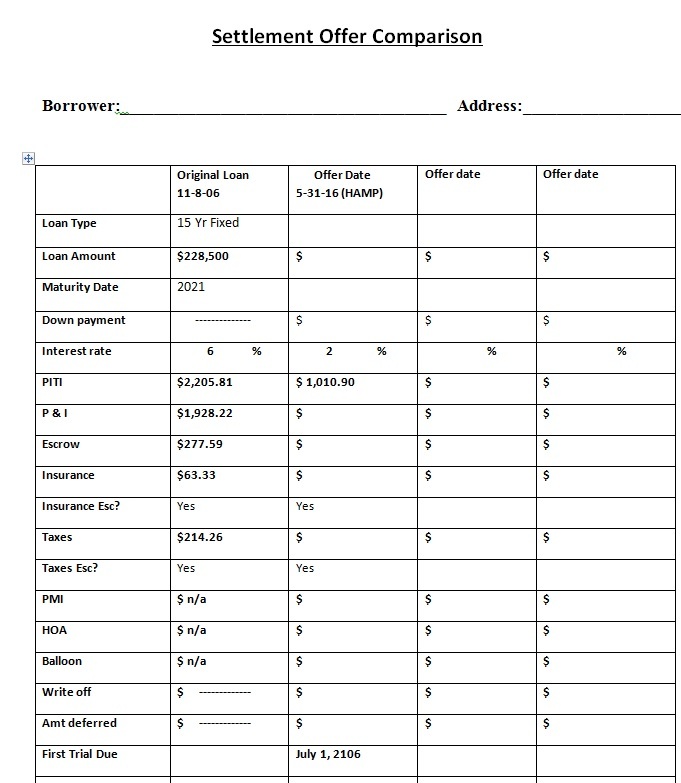 Just a quick calculation, but a 15-yr fixed rate mortgage at 2% on $228,500 comes to $1470 for P&I alone. So, something's different. Where's the other 31.25% of this payment? ($1010.90 is only 68.75% of expected P&I). Then, what are we doing about Taxes & Insurance, another $277.59/month? I'm getting about $1,740 per month. Did I mention maturity also added 10 years. I'm thinking some clarification of terms is in order here. 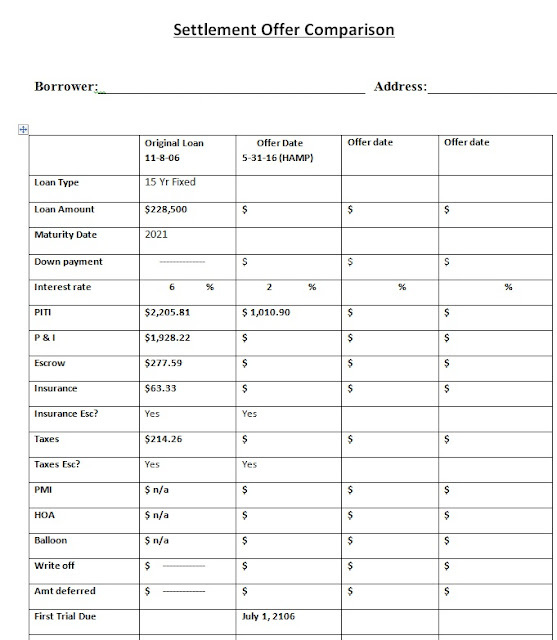 I think I'm starting to see....prior mortgage has been paid on for 10 years, leaving a balance of just short of $100K. Adding some closing costs and finance at 2% for 15 years would get one to your payment including T&I. But, we're no longer talking of a $228,500 loan. Why is the payment called "First Trial"? Is this one of the Banksters' "Trial Modifications"? How's this different from a straight refinance of $100K+closing at 2% for 15 years? Sure, half the payment for half the loan amount. But, also adds 5 years to term.